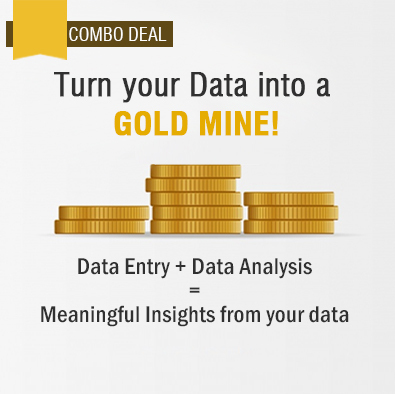 Accomplishing data quality is not simple. To acquire data quality, your organization must have a strategy to tackle any weak areas in your data. Your strategy must also have a plan to get results that can be achieved with your currently available resources, predict future possibilities or needs and include a reasonable data quality solution that can grow along with your organization. Outsourcing data quality services to India can help you benefit from reliability and accuracy in data quality. The following guidelines give you an idea on how to create an effective strategy to maintain data quality. Before formulating a strategy, your organization must recognize the problem of poor data quality and then seek a solution to tackle this problem. Conduct a meticulous audit of your organization's mailing operations and calculate the costs to the company as a result of incorrect data. This calculation should include expenses concerning bad address data, misplaced revenue and the number of working hours spent by your organization that could have been prevented by a good data quality solution. Outsourcing data quality services to India can help your organization to take inventory of these data quality issues. Make a team in your organization accountable for carrying out your data quality strategy. Ask your team to take care of spotting the problem, finding solutions and getting these solutions to the notice of the higher management in your organization. After the management and the team handling data quality has hit upon a possible strategy, the team must start executing the decided plan. You can outsource data quality services to India, so that you need not think about having an internal team. Once you choose a reliable outsourcing partner in India, you can rest assured of a good team and good quality. Discovering the main cause of the problem or finding out the center of the issue, must be the first step that your team should take. This would require an intensive study of how data quality issues entered your organization. Your team would then need to brainstorm and chart out a successful way of implementing a data quality solution in your organization. Outsourcing data quality services to India can help you find the core of the problem, mainly because of the vast experience we have in this area. Finding the right approach requires a pragmatic evaluation of your technology and resources. Consider the following before finding the right approach. If you want to impose data quality through a web site, ask yourself if it is possible to incorporate the technology into the site or will the site have to be re-formatted to make this viable. Ask yourself if the amount of addresses to be checked is small enough so that you can make your web service more cost-effective. Check if your organization has programming resources to incorporate data quality tools into already available applications. Find out if the software used in your organization permits customization or if it's closed. If it's closed, find out if a separate address verification program can seal the requirements of your organization. Finally, find out the most efficient way to make certain that every address data goes through an intensive data quality process before it is put to use. Also inquire about what changes have to be made to the network to ensure that this is made possible. After you have identified the nature and the extent of the problem, your team should spot viable data quality solution vendors. The products offered by the chosen vendors must then be checked. After such evaluation is done, your data quality team can contact the management with the best possible solution for your organization. India has reliable vendors who can provide high-end data quality services. After the vendor and the data quality solution is decided, go ahead and start implementing the data quality solution in your organization for a short period, so that you can test the efficiency of the solution. Ask your data quality team to take into account costs and the number of employees used for this purpose. Then ask the team to compare these findings with the status before the data quality solution was employed. After trying out the solution for a limited period of time, ask your team to collect the results and then to discuss this with the management. At this stage, the effectiveness of the proposed data quality solution can be checked and final changes can be made if necessary before using the solution on a large scale basis in the organization. Outsourcing data quality services to O2I can help you benefit from the right data quality for you organization. 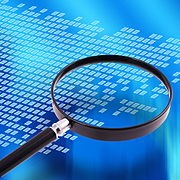 Does your organization have issues relating to inaccurate data? Find out more about how you can solve issues relating to data management.